1 tsp of hot asian oil (also called Mongolian fire oil) not too hot, don’t worry. Combine shrimp, pork, water chestnuts, scallions, soy sauce, ginger and oils into food processor and pulse until you get a smooth consistent filling. 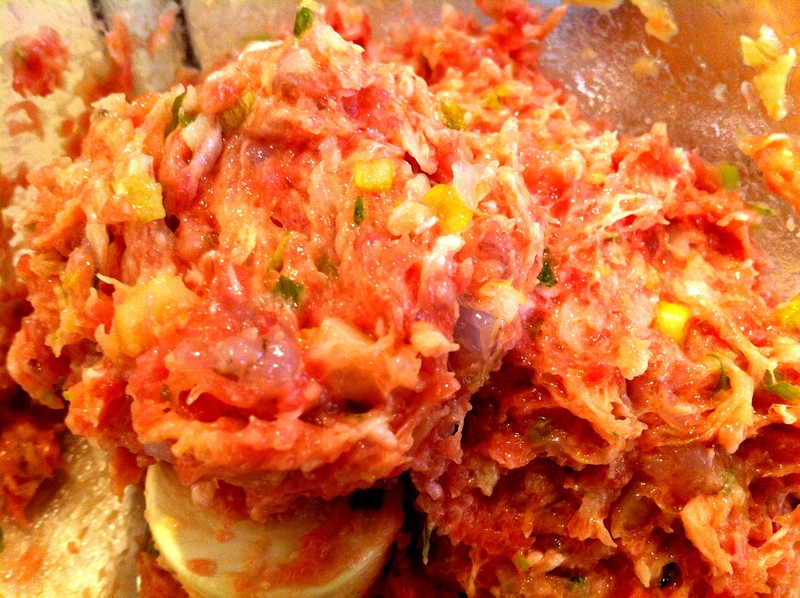 Add the ingredients and pulse 5 times, 3 seconds in your food processor. In your work station, you will need your filling you just pulsed, dumpling wrapper, a plate, bowl of your water, and another tray for your finished product. Take a dumpling and put it on your work plate and dip your finger into the bowl of water and lightly wet the outside of the wrapper. 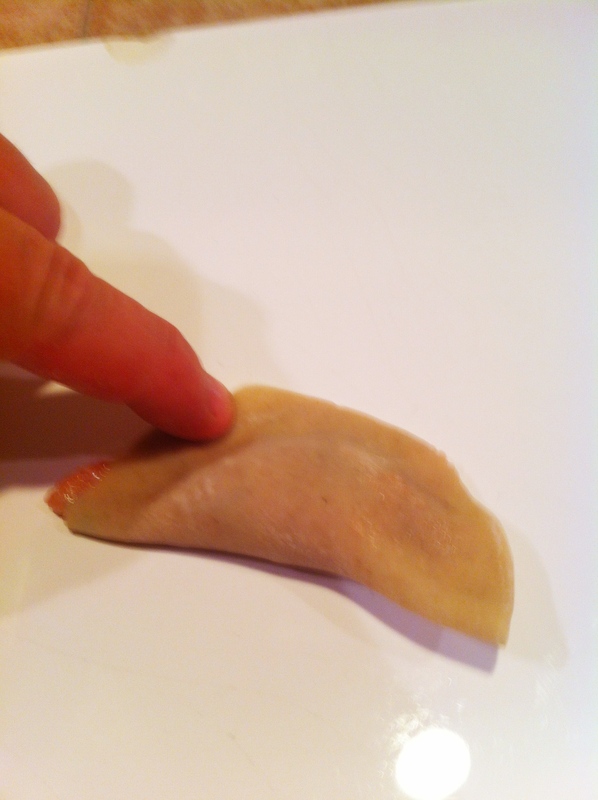 Take your finger and dip in water and wet the outside of the dumpling. 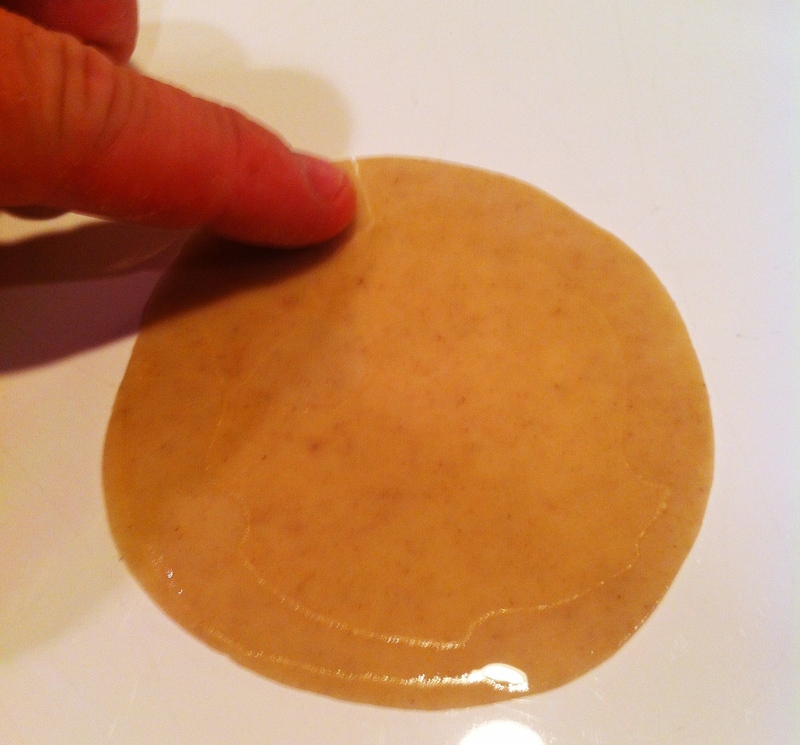 Then take one tablespoon of your filling and put it in the middle of the wrapper. Then fold the dumpling gently together pressing the seams together. 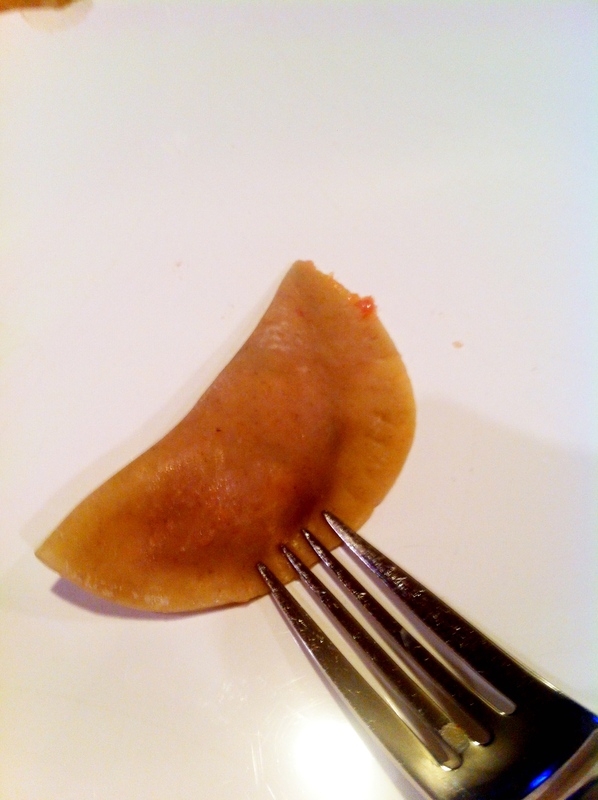 Leave a small opening at each end of the dumpling so gases can release. 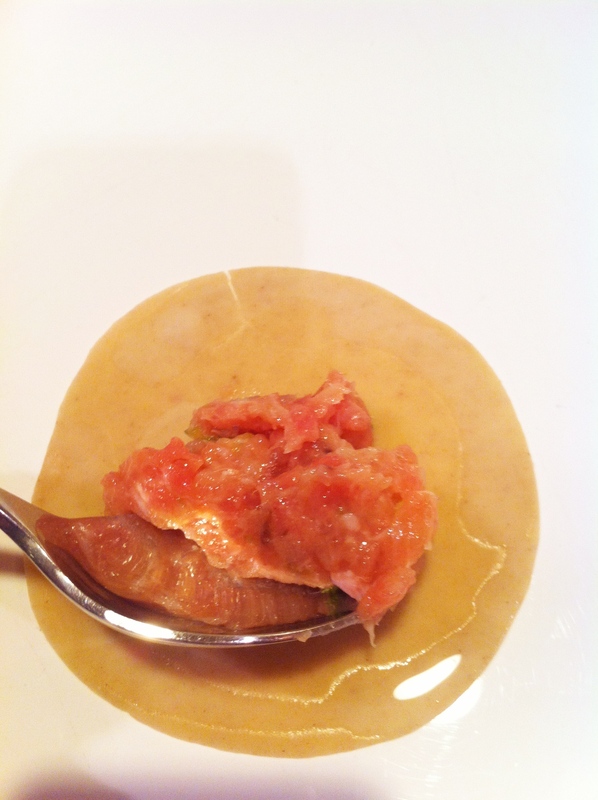 Make sure to gently press the dumpling slightly onto one side so the dumpling will cook evenly. Gently pressing the ends of the dumpling.  I like to take a fork and press the ends just to assure myself that they will not reopen later. I have a problem of stuffing the dumpling with more filling that I probably should. Call it the American way! Gently take a fork and pinch the ends. Heat the peanut oil in the non-stick skillet over medium heat until hot, then remove from heat and arrange dumplings in a tight circular pattern seam sides up in oil. Cook, uncovered, over medium heat until oil sizzles. Drizzle 1/3 cup of water over the pot stickers and cover for 8-10 minutes, I reduced my heat to low when I covered my pan. 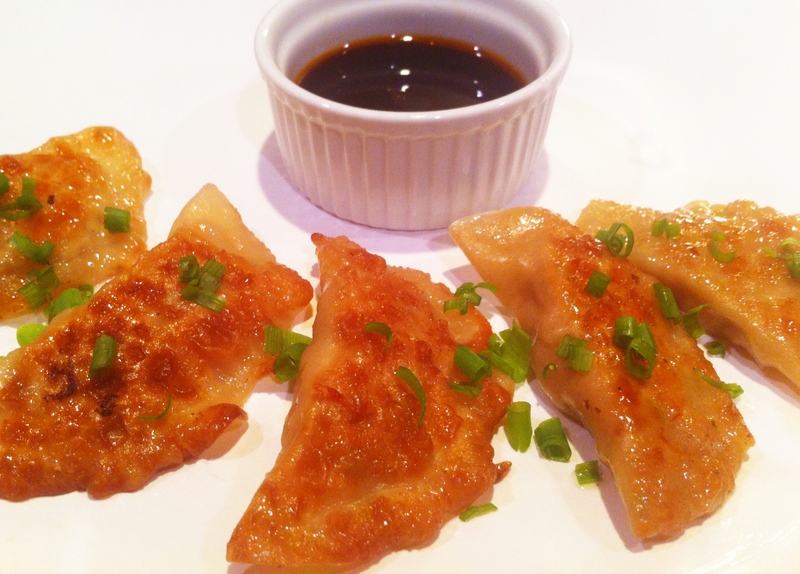 You never flip the pot stickers! Why they cook I cut up about two stocks of green onions and make the sauce. This was my test batch, as I added the 1/3 cup of water. This is how I cover my pan, but I get a decent seal. 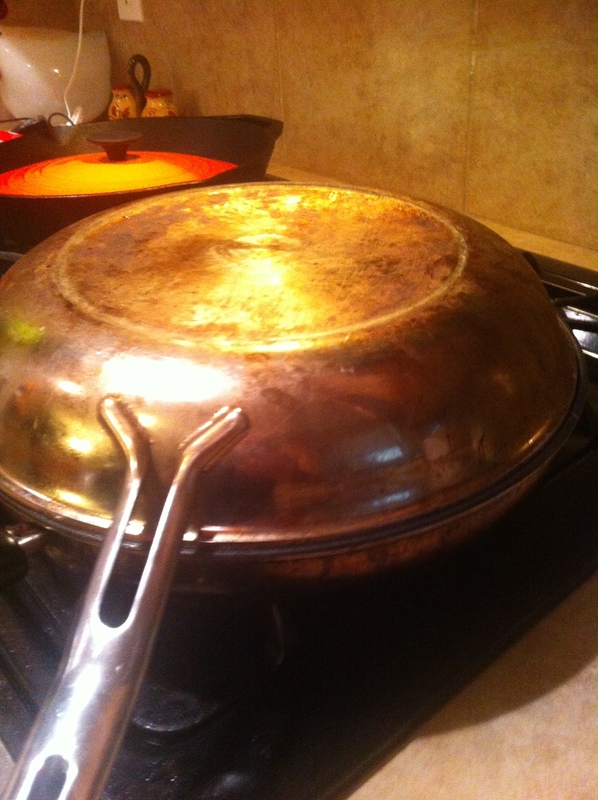 I take my other pan and cover the cooking pan. You can check your pot stickers by gently lifting one end, if they look like they need more water you can always add a couple of tablespoons. 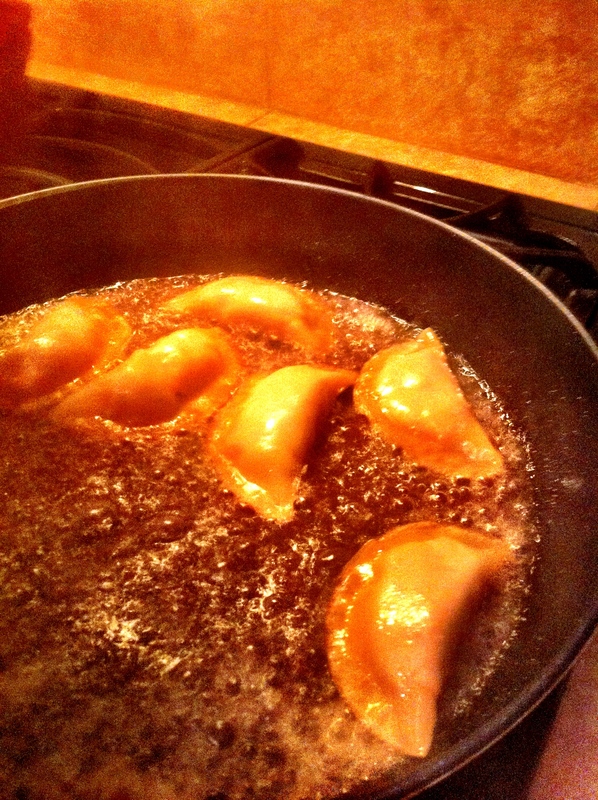 Remove the pan, invert the pan over a plate and the pot stickers will easily pop right onto the plate. 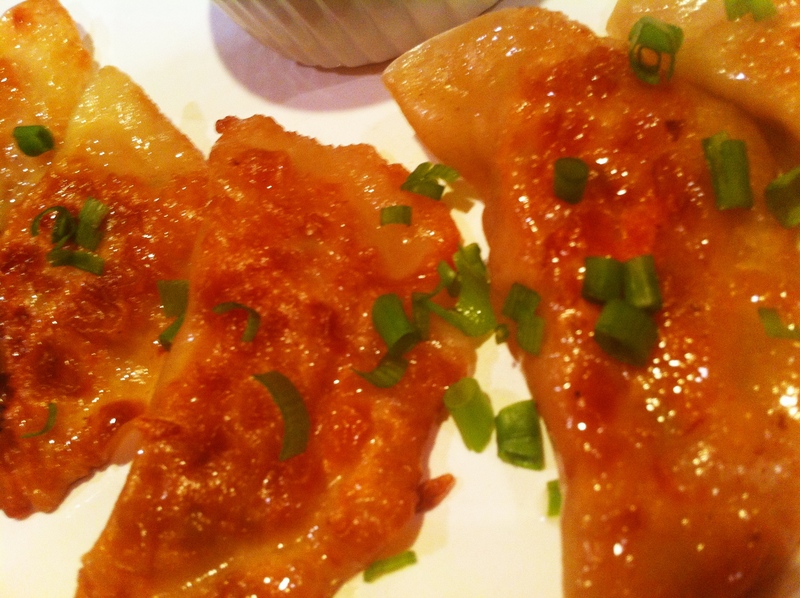 The dumplings should be browned nicely on one side, put a little green onions over them and serve with the sauce. They were pretty darn good and opened Pandora’s box on the endless possibilities of what could be made in these.